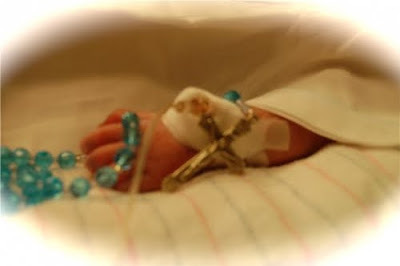 Please unite your prayers today with everyone praying for Matthew's family as they celebrate his short life here on Earth and rejoice in his eternal life in Heaven. A picture of a beautiful saint's hand. I'll be praying for his family at this time.